Today I had a blast photographing a group of siblings. 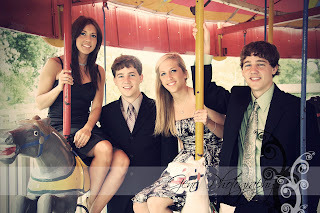 They live scattered about the country now that they are grown, but were in Iowa City for a wedding and decided to get some group shots as a surprise for their parents. We had a lot of fun doing a pretty informal shoot out at City Park. Thankfully the rain stopped before we were scheduled to start.